Students of ICSE requested for the solved question paper of ICSE maths 2018 for class 10, This solved previous year question paper of Mathematics have answered by the expert teacher. Those students facing problem in solving can download the answer sheet in PFD for free. 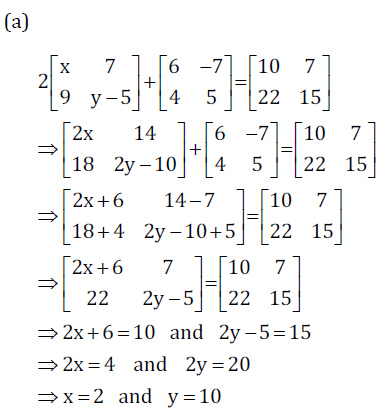 The preview of answers have been given below students should have a look at how the question has been solved. This solution will help you understand how to solve the question for the final exam. Sonia had a recurring deposit account in a bank and deposited Rs. 600 per month for 2 & 1/2 years. If the rate of interest was 10% p.a., find the maturity value of this account. (ii) a number divisible by 4. (iii) a number that is a multiple of 6. (i) Prime number card is 2. (ii) Cards having number divisible by 4 are 4, 8, 12, 16, 20. (iv) Odd number card is not there. The mathematics question paper of ICSE board 2018 has been solved as per the syllabus of class 10. You should also download ICSE Maths 2018 Question Paper link is given below. Downloading the unsolved question paper is important because when you practice for your examination first you should solve the question paper by your self then look at the solution to check your mistakes and write the mistake is separate notebook so that you do not make the same mistake again in your final day maths examination. Maths is the subject that needs practice so students, practicing the previous year question paper is the best way you can practice for mathematics exam. ICSE Maths class 10 question paper was of 80 Marks and Time allowed was of (Two hours and a half). The 2018 Mathematics question paper has been divided into two section A & section B both for 40 marks each and Syllabus for maths subject is - commercial mathematics, algebra, geometry, menstruation, trigonometry, statistics, probability. Maths 2018 Question Paper as important questions for an upcoming exam. Take this solved question paper as an important question for your examination. The questions asked by the ICSE India CISCE (Council for the Indian School Certificate Examinations) 2018 is important because you know this question has been asked before and you can accept this questions in your examination also (Not the same question) but the concept of the question and the pattern of the question will be same. practicing this paper will surely help you and this 2018 math question is very important as your exam point of view. Hope you all find the solution helpful for your preparation of ICSE class 10 examination. If you like the help of 10 Years Question paper Share this solved maths 2018 question paper with your friends and teacher. if you have any problem understanding the question you can ask your doubt in the comment section we will surely help you.